Next in the “All My Friends Are Robots” series, an accident of posing meant I could make one eye look through the mask, to happily confusing effect. 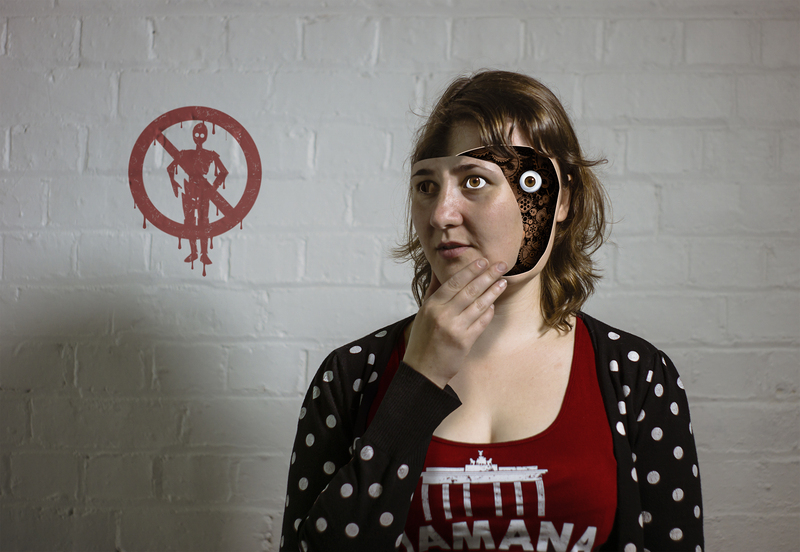 This entry was posted in digital, Photoshop, portraits and tagged android, mask, robot. Bookmark the permalink.